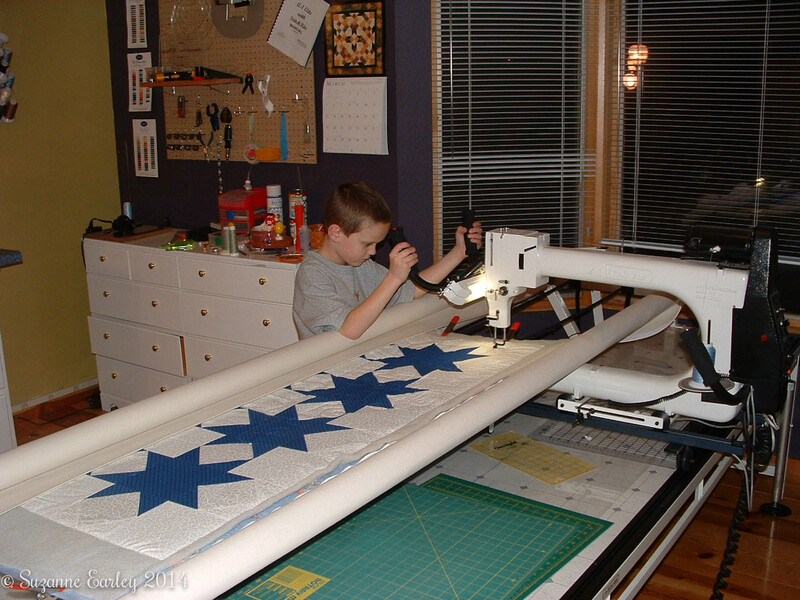 I was thinking that this week’s Throwback Thursday post would be of an early quilt, something that I could contrast with a later quilt to show my growth, etc, etc, blah blah blah. But then, as I was going through some old pictures, I came across something else that I decided I HAD to share. This is Joe in December 2000, when he was 18 months old. 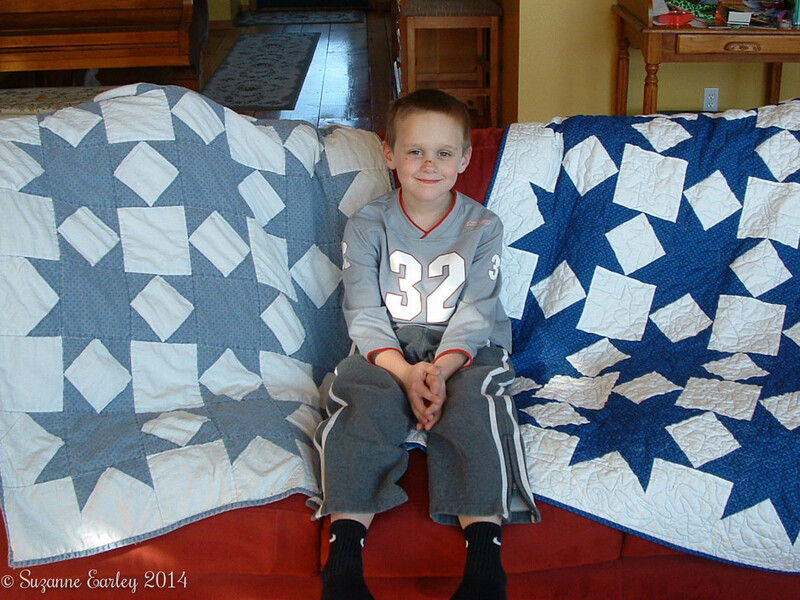 Grandma Earley made the quilt. He loved that poor quilt to death, and eventually we decided Joe needed a new quilt, and he wanted it to be just like the old one. If I remember right, I convinced him to make it bigger. Here he is posing with the old one and the new one. This is from March 2006, he would have been…ummmmm…..just over 6.5 years old? The best part of that little self-satisfied smirky grin thingy he’s got going is that HE is the one that quilted that WHOLE quilt. It also occurs to me that he might have helped me piece it, but this was before I started blogging, and I don’t have any photographic evidence of that. I do, on the other hand, have evidence that he quilted, and trust me, he quilted the WHOLE thing! I do notice that I also have photographic evidence that my studio used to have wide open spaces of floor instead of piles everywhere, and I’m becoming more and more motivated to want to clean up this joint. I don’t know what that means, but it means something. Was this era before you moved to the now red house? You’re right. Cute! My grandson is the same age as your boys. They grow SO fast. My GS lives in Germany. I only see pictures of him.